As we celebrate Martin Luther King’s birthday, I am reminded of the importance of people of faith exercising their civic duty to ensure equal rights for everyone in America. Those today who misconstrue the separation of church and state have silenced many people of faith. People of faith have even silenced themselves by stating that their faith is something private and separate from their public life. In 2012, Vice President Joe Biden said “….I accept my church's position that life begins at conception. That's the church's judgment. I accept it in my personal life. But I refuse to impose it on equally devout Christians and Muslims and Jews and--I just refuse to impose that on others..” Can you do such a thing while calling your faith a true faith? If something is true, it’s true for everyone. Martin Luther King Jr. believed that “all men were created equal” was not just true for whites. He saw that this was not a reality and changed it. He was a man of faith first and foremost and he got involved. As I speak with people today, I have been targeted several times to be silent because I, like Martin Luther King Jr., am a Christian. Should I have no opinion on moral issues today because of my faith? I contend that if I don’t, then neither did MLK. Should Christians be silent on abortion? Depends. Depends on what? It depends on whether or not the unborn are human. If the unborn are not human, abortion is not a moral issue. But, if the unborn are human, abortion is the greatest holocaust in American history. Our vice president’s church aligns with the science of embryology which says life begins at conception. Joe Biden didn't evolve from an embryo. Joe Biden once was an embryo. Sure, Joe the embryo was smaller and less developed than Joe the adult, but that didn't change his essential nature. He was one of us! Suppose two-year olds were being killed at the same rate as unborn children. Would anyone with a functioning conscience suggest anything other than our full involvement ending that evil practice? If the unborn are human, and we know they are, why should our response be any different? Since abortion was legalized in 1973, we're at 56 million lives and counting. This is a battle where no Christian gets a pass due to "fetus fatigue." James 4:17 tells us that “If anyone, then, knows the good they ought to do and doesn’t do it, it is sin for them”. I don’t know of anywhere in scripture where someone was blessed or exalted for being silent in the face of evil. On the contrary, those who boldly stood up in the face of evil are exalted. Abortion takes the life of an innocent human being in the most inhumane way and is therefore evil. Children are dismembered, crushed, or poisoned. The theology in play here is not difficult. According to Genesis 1:27, all humans have value because they bear God's image. Because humans bear God's image, the shedding on innocent blood is strictly forbidden (Ex. 23:7). Unborn humans bear the impress of their Maker and He hates the shedding of their innocent blood (Prov. 6:17). If injustice to blacks 60 years ago cried out for justice, then so does the abortion holocaust and arguably even more so. Christians should be doing everything they can to peacefully, gracefully, and lovingly limit the evil done. This involves in making good arguments to convince others as well as doing what Martin Luther King Jr. did – Get involved in the civic process. The law permits the unjust killing of innocent human beings. Political leaders should not get a pass on that. John the Baptist called them out for evil deeds. So did Jesus. We have a government by and for the people and that includes Christians. So, when someone tells me that religious people should have no say in the abortion debate – or any other moral or social issue–I ask a simple question: Do you mean like Martin Luther King, Jr? President Obama will have an open seat tonight during the State of the Union address to represent those victims who have lost their lives to gun violence. Roughly 11,000 homicides were committed with guns in the U.S. during 2014. Everyone agrees these lives are tragic loses due to senseless acts of violence. That same year, over 1,000,000 unborn human beings lost their lives through abortion. If we have one open seat to represent every 11,000 lives lost, we would need 90 open seats at the State of the Union to represent the lives of the unborn killed during 2014 alone. We would need 5,182 open seats to represent the 57,000,000 human beings who have been killed since Roe v. Wade in 1973. Unfortunately there are only 446 seats in the House chambers where the State of the Union is given. The unborn need a voice. They need us to speak for them. True, our representatives do have a responsibility to do something. But these open seats for victims of abortion violence should not just remind every single one of our representatives. They should also remind you and me, because it is just as much our responsibility to do something about abortion. So what can we do? We can graciously share the gospel, study more about abortion, pray, speak out on the issue, teach others, engage in conversation, vote, adopt, volunteer time at pregnancy centers, help pregnant women in need, start a student pro-life club on campus, offer healing and mercy to post-abortive women and men, and donate money to pro-life organizations. We can all do something. Just do something. "We could wipe out the adoption crisis tomorrow. We could wipe it out this week. But we’re too busy arguing to have abortion banned. We’re too busy arguing to defund Planned Parenthood. We are too busy withholding mercy from the living so that we might display a big spectacle of how much we want mercy to be shown to the unborn. Where is your mercy? Where? What is your goal in only doing activism that is comfortable?" Although some have seen this as merely arguing against current pro-life strategy (something I also tend to do), her words reveal something far worse. In order to understand this, we have to take a step back and examine the pillars in which our social justice convictions stand. Why argue for human equality when none of our abilities are essentially equal? The principle that all human beings are intrinsically valuable based on whose image we bear is the ground in which our convictions for social justice stand. Throughout human history those who have power have oppressed, abused, and sometimes killed other weaker, vulnerable human beings. This has been justified by some artificial distinction that the more powerful makes over the weaker. This pattern is consistent whenever one group holds a privileged position over another. In her talk, she doesn't merely criticize current prolife strategy, she attempts to make a critical distinction between the "living" and the "unborn". This distinction is enough in her eyes to justify "unbusying" ourselves defending the life of one set of human beings in order to show mercy to another, more valuable set of human beings. What she does not realize is that placing value on human beings based on an artificial distinction is the basis of racial inequality in the first place. To see this, lets assume that we follow her advice. We free up our time for the "living" by unburdening ourselves fighting for the life of the unborn. The adoption crisis is wiped out tomorrow. and abortion on demand increases. What would we accomplish? We would have merely justified increasing the status of one human group while allowing a more powerless and vulnerable group to be killed. At the same time hoping that the artificial distinctions that allowed the "adoption crisis" to occur in the first place doesn't change over time. This is not justice, it is continuation of the status quo that tolerates racism, discrimination, and abuse in the first place. The goal is not to take resources that defend the life of one human being to spend them on supporting another. The real goal is to work so that each and every human being is valued intrinsically based on the value given equally by our Creator. She should not have attempted to get attention by some slick, rhetorical jab to those with pro-life convictions. She should have shown the inclusivity that we all should share as brothers and sisters. In short, she should have lived up to these words that someone wrote on the Faith For Justice Website. I pray that we will not be confused, and can join one another in fighting for true equality. As Christians, we believe that life is valuable, that all people are made equally in the image of God. The image of God is reveled in each and every one of us. Young people and old people; people of every race, color, and culture; criminal, civilian, and cop: all are made in the image of God and all of their lives are valuable and irreplaceable creations of the Almighty. The fact that we find any life at all to be expendable is not just a tragedy, but a sign of our deep misunderstanding of the way the world ought to be. Special thanks to Dave Sterrett and Hendrickson Publishers for the free copy of the book to review. In a person's lifetime, there are only so many books that he/she can read. That's why it's important to be as honest as possible in a book review, so someone can honestly gauge which book is a good use of their time. Unfortunately, while there were several really good essays in this compilation, I can't really give it my full endorsement, as there were too many bad essays to weigh against the good ones. You would probably be better served by picking up David Reardon's book Aborted Women: Silent No More for compelling stories and Scott Klusendorf's book The Case for Life for the defense of the pro-life position. I'll start with the pros of the collection before moving on to the cons. As I mentioned, there are several good essays in this collection. 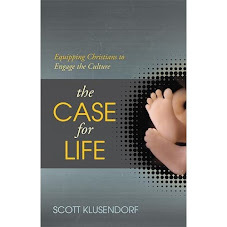 Scott Klusendorf's essay on making the pro-life case is excellent, of course. And I was surprised to see an essay written by Mike Adams in this collection. 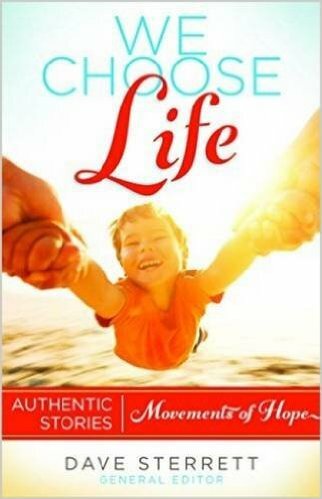 I am a regular reader of Mike's Townhall column, and it was great to read about how he became a pro-life Christian. I also thought Jewels Green's essay "How I Finally Chose Life" was one that stood out from the others. I enjoyed the philosophical reflections in Bernard and Amber Mauser's essay regarding usage of contraception and fertility treatments. It filled my little Thomist heart with joy. And the late Kortney Blythe Gordon's father, Larry Blythe, shared an essay chronicling the life and ministry of this young pro-life advocate who was taken from us too soon. Another pro for the collection is that there is a wide range of perspectives from many different people in the movement, some well-known and some not so well-known. You'll get to learn what runs through the head of a staunch pro-choice advocate who eventually becomes pro-life, what it's like to have a child with spina bifida, etc. Another pro is that the book is easy to read. You can probably finish it in just a couple of days, depending on how much time you have. I really felt that the editing could have been tightened up. There were spelling and grammatical errors, as well as sentence fragments. There were also too many instances of sentences going on and on, and several things being repeated over and over again unnecessarily. Several of the essays were just not well-written at all, and some only needed to be half as long as they were. Plus, many of the claims made in some of the essays were not sourced. Additionally, the term "preborn" was overbearing throughout the collection, which seems more like a rhetorical move. 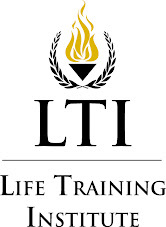 It was even in Scott's essay on how to make the case for life, when Scott used the term "unborn" in the original (which you can find on the LTI website, www.prolifetraining.com) without indicating that the editor made those changes (usually indicated by brackets: [preborn]). I'm guessing what happened is that they used the "search and replace" feature to replace all instances of "unborn" with "preborn". What tipped me off to this is the fact that in endnote 2 on page 170, they changed the title of Greg Koukl's book, Precious Unborn Human Persons, to Precious Preborn Human Persons (emphasis mine). Another minor complaint is that I had no idea who several of these people were. The collection would have been helped by including a short paragraph or two about who each of the contributors were. One major issue with many of these essays is that they were less about abortion and more about trying to evangelize. Now, I'm a Christian. There's nothing wrong with evangelization, but in the proper contexts. For example, if I want to evangelize a friend, I'd give them a copy of Cold-Case Christianity by J. Warner Wallace, Mere Christianity by C.S. Lewis, or The Case for Christ by Lee Strobel. I wouldn't give them Time and Eternity: Exploring God's Relationship to Time by William Lane Craig or An Essay on Free Will by Peter van Inwagen. That's not the purpose of those books. The purpose of this book should focus on abortion, not on evangelization. Now, some of the essays used Biblical quotations and ideas without it seeming out of place. That's fine, because in the life of Christians I should expect Biblical influence. But in several of the essays, it felt like they weren't trying to tell their story so much as trying to make converts out of whoever would read the book. There were many Biblical quotations out of place, and "Christianese" scattered throughout these essays. Frank Gray's essay is representative of the essays that I'm talking about. His essay is fully of Bible verses thrown in and Christianese used. I really didn't get the sense that he struggled because he didn't really expound on what he said he was going through in the essay because he felt evangelizing was more important in the moment. It really detracted from his story and didn't give me the sense he was really struggling or suffering during these times. Again, I don't want to give off the wrong idea. I'm a Christian, and I believe evangelizing is the Church's mission. But there's a time and place for everything, and a book on abortion experiences isn't the place for writing a Gospel tract. As I said, there were several essays that used Scripture references to good effect. But there were several, like the aforementioned, that were overbearing with it and it detracted from their story. Some of the essays in this compilation are definitely worth reading. Unfortunately, there were more that I felt were poorly written than good, so that unbalances this collection. So I can't wholeheartedly endorse this book, although it's only $7 on Amazon, so that might be a price you can justify for the number of good essays. First, the alleged inconsistency of pro-life apologists who support capital punishment is often introduced as a red herring to distract from the main issue that must be addressed. Even IF pro-lifers were inconsistent on this point, that’s all it would prove: an inconsistency. And what follows from that? Not much. It has nothing to do with the one question that must be answered in the abortion debate: “What is the unborn?” As Beckwith notes, “inconsistent people can draw good conclusions” (Defending Life, 126). P1: It is wrong to intentionally kill an innocent human being. P2: Elective abortion intentionally kills an innocent human being. C: Therefore, elective abortion is wrong. On December 6, 1865, the 13th amendment to the U.S. constitution was ratified and with it came the formal abolishment of slavery in this country. It states, “Neither slavery nor involuntary servitude…shall exist within the United States, or any place subject to their jurisdiction.” This amendment was especially significant considering that just eight years prior in 1857 the Supreme Court ruled in Dred Scott v. Sandford that blacks were property and non-persons. Read that again. The importance of Lincoln’s logic should not be overlooked. Lincoln realized that if you try to establish human rights or personhood by appealing to a set of arbitrary degreed properties which carry no moral weight or significance, properties such as color and intellect which none of us share equally, then you end up undermining human rights for everyone.